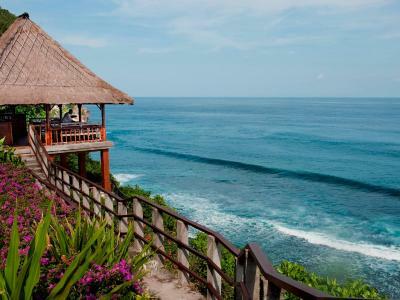 Lock in a great price for Bulgari Resort Bali – rated 9.4 by recent guests! I literally loved every single corner about this resort! 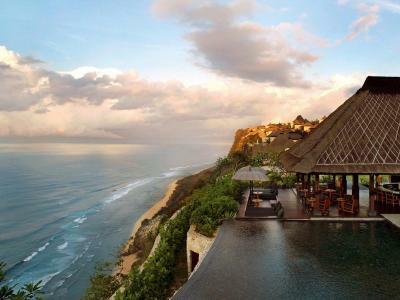 The Cliff One-Bedroom Villa with Ocean View was beyond amazing! They have their own private beach and you will love the way of how to get to the beach ;) highly recommended! The staff, the butler service (I think our butler name was Stefanos, he was super friendly and nice), the in villa dining, location, the beach, the villas are spacious, basically everything. The staff know you by name. Highly recommended. 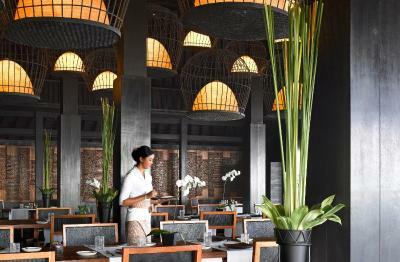 The food, the staff, the location, the villa, the atmosphere, the way the staff responds to your needs. I could go on and on. 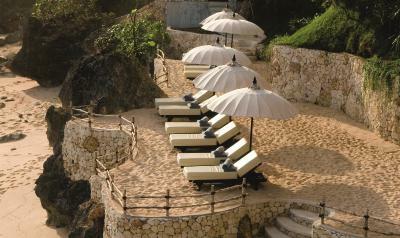 I really loved the beach, the rooms and especially the food which was exceptionally good. Also, the staff was really helpful and friendly. 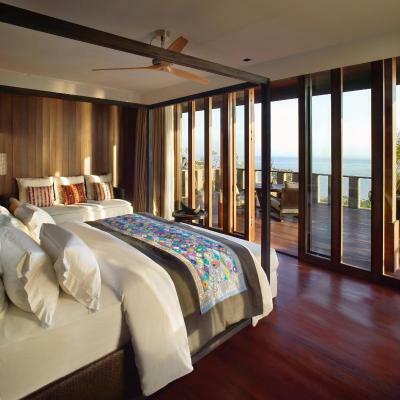 Overall, a very well designed & beautiful hotel. Staff are super nice and attentive. View is amazing. What stands out for us was the great service we got from our butlers. We stayed at a lot of hotels but never did we reserve the service we got from the people at Bvlgari. They really take wonderful care of your stay, and when they ask to call them if there is something you need. Then you can really call them for anything you need. Our butler was Edi, but we got similair treatments from other butlers. 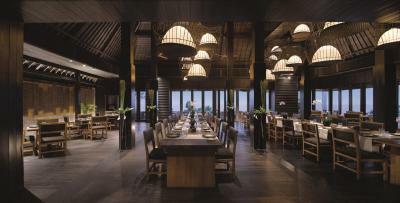 The accommodations are nice, the food in both restaurants as well as breakfast is of good taste. The house was clean and well cared off. 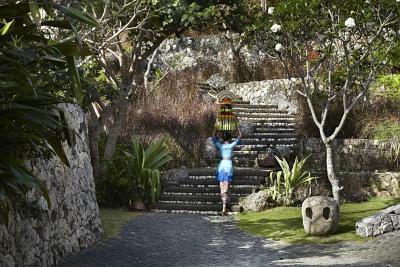 We had a wonderful stay and would recommend this place to anyone that wants a relaxing stay in Bali. The built quality of the room is excellent, all the staff took care of us very well. I will stay next time. 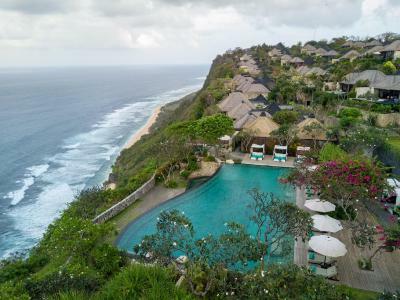 Bulgari Resort Bali This rating is a reflection of how the property compares to the industry standard when it comes to price, facilities and services available. It's based on a self-evaluation by the property. Use this rating to help choose your stay! 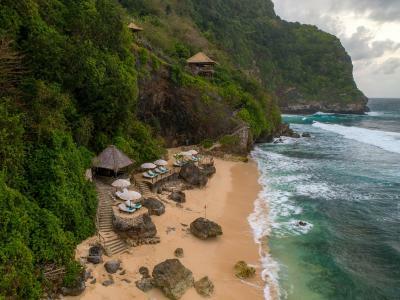 One of our top picks in Uluwatu – and a guest favorite. 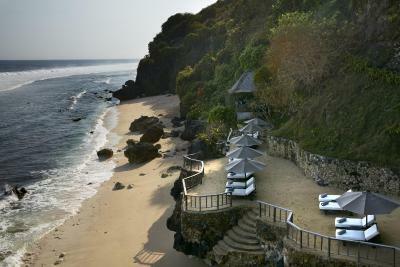 Bulgari Resort Bali is located 492 feet above sea level and offers sweeping views of the Indian Ocean. 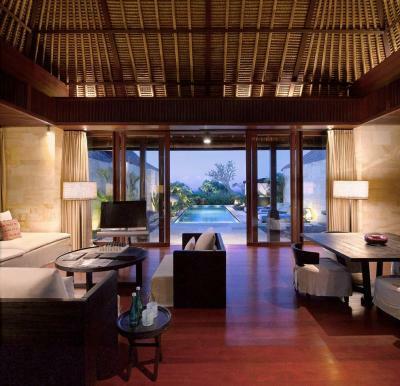 It features luxurious villas with a private sundeck and plunge pool. A 0.6 miles long beach is accessible only through the resort’s inclined elevator. 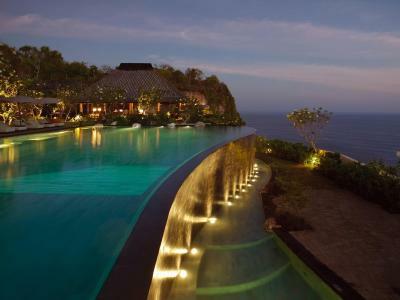 The resort also offers an infinity swimming pool overlooking the ocean. 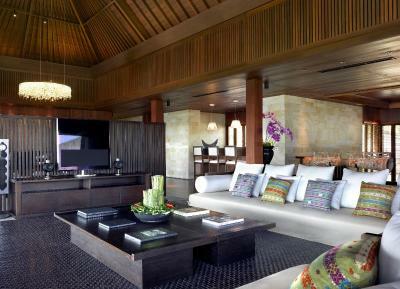 The spacious villas at Bulgari Resort Bali come with traditional Balinese décor and audiovisual systems. 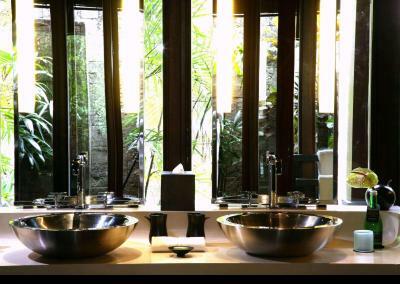 The floor-to-ceiling glass bathrooms overlook the private courtyard. 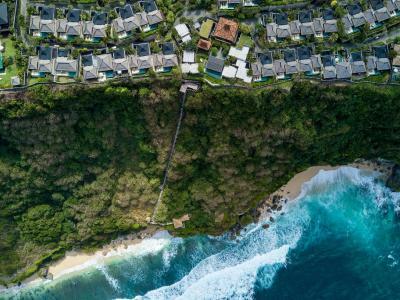 Recreation choices include working out at the 24-hour fitness center or enjoying a massage at the spa while enjoying unobstructed view of the ocean. The resort provides free WiFi and parking. Travel and sightseeing arrangements can be made at the front desk. 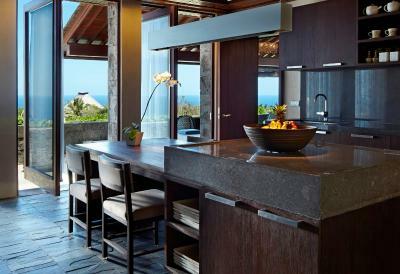 Guests also can take advantage of the 24-hour butler assistance. Il Ristorante Luca Fantin serves creative and modern interpretations of Italian cuisine, adopting refined techniques and artful creativity of their Italian Resident Head Chef. 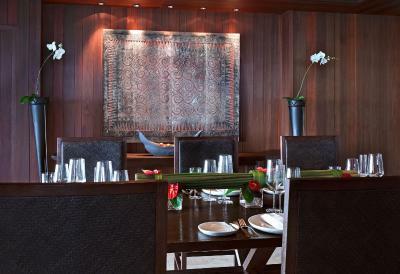 Other international dishes are also served at Sangkar Restaurant, while fresh seafood is served at La Spiaggia. 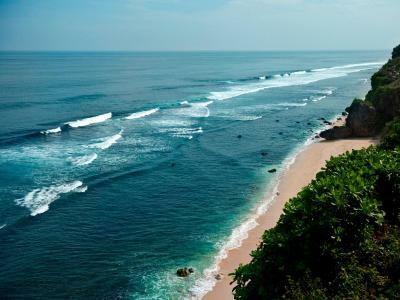 Padang Padang Beach is 2.4 mi from Bulgari Resort Bali, while Dreamland Beach is 3.1 mi from the property. 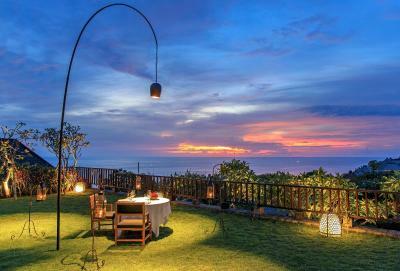 It is 2.5 mi from Uluwatu Temple and 11 mi from Ngurah Rai International Airport. 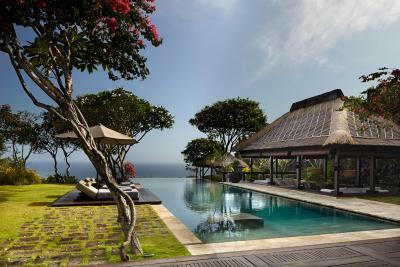 When would you like to stay at Bulgari Resort Bali? 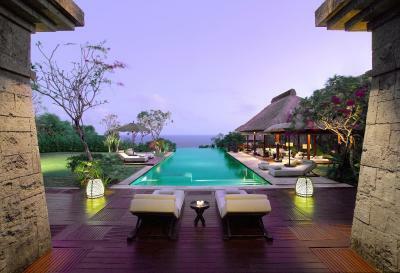 Featuring views of the ocean, this villa features a private swimming pool with sun loungers and a tropical garden. It comes with a separate indoor living and dining area. 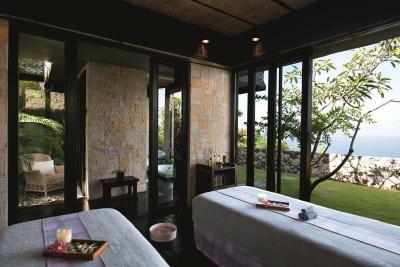 The bedrooms are decorated with Indonesian art pieces and are fitted with an audiovisual equipment. Two bathrooms with black terrazzo flooring come with a bathtub, indoor and outdoor showers, and branded toiletries. Featuring a private entrance and elevator, this spacious mansion features a large garden and sundeck. 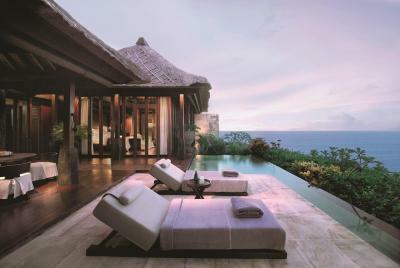 It also houses two-tier private swimming pools. Free WiFi is provided, and the room offers audiovisual facilities. Featuring a private entrance and elevator, this spacious mansion features a large garden and sundeck. 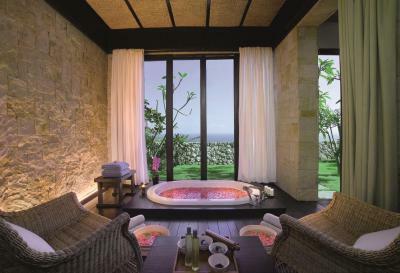 It also houses two-tier private swimming pools. 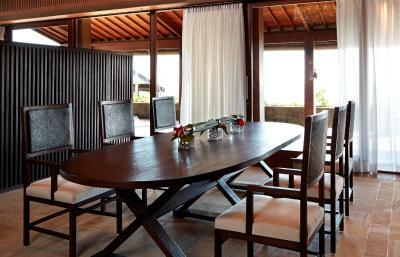 Free WiFi is provided, and the room offers audio visual facilities. 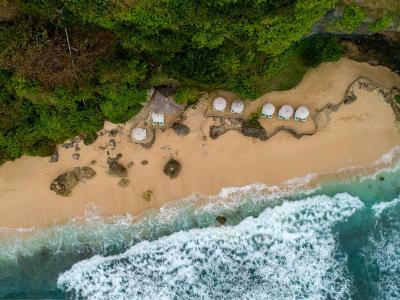 Boasting a 20-yard private pool overlooking the ocean, this spacious villa comes with air-conditioned bedrooms, a living room with bar, a spacious dining room, a private cinema, a kitchen and a spa treatment room. 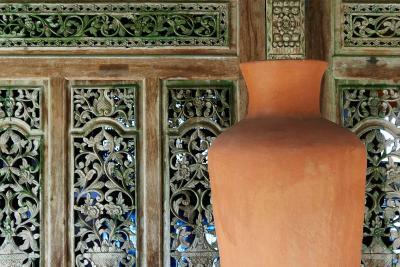 It also has a meditation pergola surrounded by an extensive terrace and small pavilions where guests can dine and relax. Two bathrooms are available with black terrazzo flooring, a bathtub, an indoor shower and branded toiletries. Featuring a private entrance and elevator, this spacious mansion features a large garden and sundeck. It also houses two-tier swimming pools. Free WiFi is provided, and the room offers audiovisual facilities. 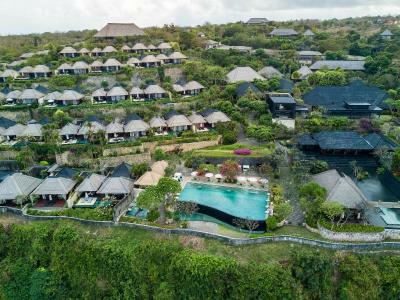 The luxurious all-ocean-view villas of Bulgari Resort Bali are contemporarily designed by Antonio Citterio and exclusively located on the island’s most southwestern seaside clifftop of Jimbaran Peninsula, near the prominent Uluwatu Temple. 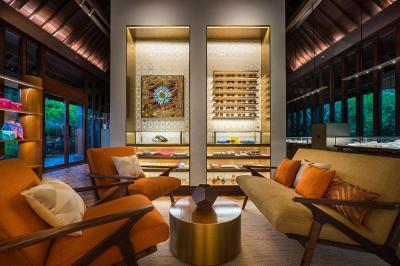 House Rules Bulgari Resort Bali takes special requests – add in the next step! 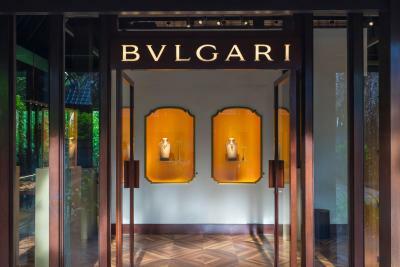 Bulgari Resort Bali accepts these cards and reserves the right to temporarily hold an amount prior to arrival. Please note that the credit card used for booking and a valid photo ID with the same name must be presented upon check-in and the hotel will do card-verification on the EDC machine for authentication. If the original credit card used for booking cannot be presented, the property will request that full payment is settled immediately with an alternative payment method or entirely reject the booking. 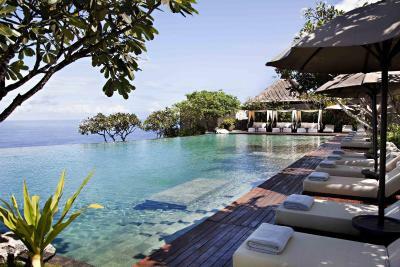 Please inform Bulgari Resort Bali of your expected arrival time in advance. You can use the Special Requests box when booking, or contact the property directly using the contact details in your confirmation. Beautiful villa and amazing setting/views. One of a kind breakfast with everything you could wish for. 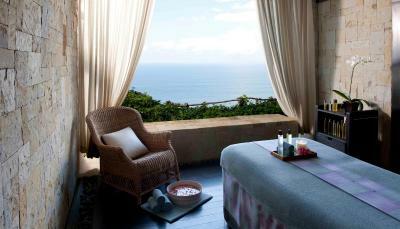 Wonderfully attentive staff who truly pamper and spoil you, absolute first class service. A true 5 star resort! 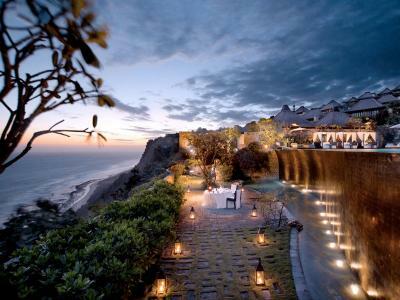 The most beautiful resort in the world for definite. Very family friendly resort. The staff were extremely accommodating and welcoming. The resort itself is amazing. Exceptional views and great food selection. Private beach. Excellent customer services specially in the Bar. Gorgeous cliff and sunset view.